As the worlds busiest international airport, Heathrow has invested heavily recently including the recent £2bn redevelopment of Terminal 2. As the worlds busiest international airport, Heathrow has invested heavily recently including the recent £2bn redevelopment of Terminal 2. The new terminal is capable of handling 30 million passengers a year and is distinguished by an impressive 50,000 square metre “wave roof”. 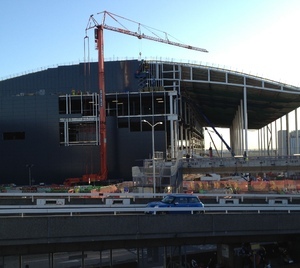 The Terminal 2 project provided employment for 35,000 people during the construction phase and where possible, the airport sourced materials from UK suppliers. Fixmart supplied roof supports and cable basket to Mechanical and Electrical contractors during the project. The airport’s redevelopment will continue over the next 15 years as part of a wider project to completely change the face of Heathrow.